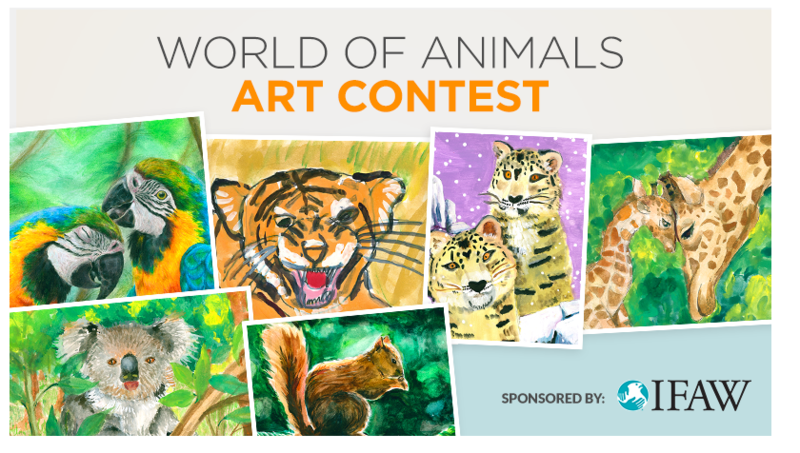 Did you know each year IFAW (International Fund for Animal Welfare) holds an animal art contest in celebration of wildlife and creativity? It’s so cool! I get that you may not want to take on one more thing during the months of February and March—deadline for entry is March 30—however, this is a contest kiddos can enter on their own. You simply need to let them know about it! Students in grades preschool through 12 may enter. All artwork entries must be submitted on either 8 ½” x 11” or 9” x 12” paper and be created by hand using markers, crayons, colored pencils, and/or paint. No photographs, photocopies, tracings or computer-generated designs will be accepted. Twelve winners and twelve honorable mentions will be chosen by a panel of judges based on originality, creativity, and adherence to the Office Contest Rules. Winning entries receive a creative artist prize pack. Honorable mentions receive prizes too! Sure sounds like fun to me!